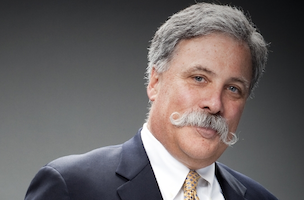 Chase Carey is going to be the president and COO of 21st Century Fox through at least 2016. The Wall Street Journal reports that Carey has agreed to a two-year contract extension mere weeks before his original one ended. Carey’s contract was set to expire June 30, and — according to the Journal — that “had attracted some attention and speculation on Wall Street.” Well, we guess the rumors have officially been squashed. Carey, who has held the roles of president and COO since 2009, won’t see much of a pay bump over the course of his new deal. Not that he really needs it. Last year Carey’s total compensation was $27 million. Not bad. Not bad at all.